M2M company Pedigree Technologies announces the release of OneViewPOV, tablet applications for fleet management and field service automation that give field service workers a mobile interface into Pedigree’s award-winning enterprise M2M solutions. The OneView M2M application suite helps companies increase operational efficiencies, meet compliance regulations, manage logistics, and maintain equipment from a centralized operations management platform. Pedigree Technologies announces the release of OneViewPOV, tablet applications for fleet management and field service automation that give field service workers a mobile interface into Pedigree’s award-winning enterprise M2M solutions. With the release of the new FleetPOV and JobsPOV applications, Pedigree Technologies OneView® is the first fully integrated M2M solution that connects the mobile workforce and resources in the field to the enterprise. OneView provides remote monitoring and diagnostics for vehicles, trucks, trailers, and fixed and mobile equipment. Vehicles and high-value equipment send critical information such as location, condition, runtime, stops and trips, diagnostics, and tank inventory to OneView. This M2M data in the cloud is accessible through the web-based OneView service as well as the tablet-based OneViewPOV applications. “The release of OneViewPOV represents a significant milestone in the M2M industry as it brings the human interface to M2M,” says Ian McPherson, Pedigree Technologies Chief Strategy Officer. OneViewPOV aggregates real-time data from the machine, mobile worker, and operations “points of view” (POV) to streamline compliance, manage logistics, enable better service delivery, and drive revenue. The new OneViewPOV applications for fleet management and field service automation also facilitate collaboration among machines, field service workers, and the enterprise through event-triggered dialogue around assets or conditions. “Machines have been talking to each other for a long time now,” says Pedigree Technologies founder and CEO Alex Warner. Operations managers gain a 360-degree view of the enterprise with asset tracking, fleet management, machine health, and inventory management solutions delivered through a centralized M2M platform. OneView FleetPOV gives mobile workers a single device for managing electronic driver logs and hours of service (HOS) to meet Federal Motor Carrier Safety Administration (FMCSA) requirements. OneView JobsPOV lets field service workers prioritize projects, jobs, and resources based on real-time operational data. JobsPOV improves dispatch and routing efficiencies, facilitates coordination of time and resources, and shortens the delivery-to-invoice timeline. 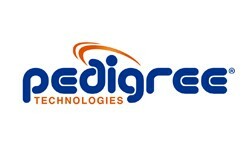 Pedigree Technologies was recently presented with the Frost & Sullivan 2011 North American New Product Innovation Award in M2M-based Fleet Management Software. The addition of the tablet-based FleetPOV and JobsPOV applications gives field service workers a mobile interface into Pedigree’s award-winning, cloud-based enterprise M2M solution, powered by real-time machine monitoring across operations. Pedigree Technologies OneView® is an integrated cloud- and tablet-based M2M solution for fleet management and field service automation. 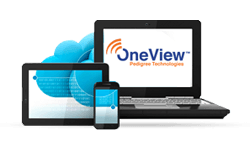 Key features of the new OneViewPOV applications are designed to increase productivity, efficiency, and profit while reducing operational costs. Electronic Onboard Recorder (EOBR) eliminates paper-based log books, increases driver safety, and meets FMCSA requirements. Electronic HOS tracking and driver logs improve safety and compliance and save time otherwise spent manually tracking driving time. Fuel purchase form supports IFTA reporting with fuel purchase records, image capture for fuel receipts, and IFTA Compliance Reports. FMCSA reporting tools and automatic reporting of HOS violations ensure regulatory compliance. Safe two-way messaging improves communication efficiencies in compliance with FMCSA regulations. Job scheduling, prioritization, and more efficient routing lowers cost of delivery. Electronic bill of lading allows workers to record shipment information in the field. Mobile workers can receive and process work orders for same-day invoicing. OneView applications serve several industries, including oilfield services, heavy and mobile equipment management, transportation and logistics, agriculture, and mechanical services. Pedigree Technologies OneView combines machine-to-machine (M2M) technology with cloud- and tablet-based applications to lower the costs of operation and enable a closed-loop service chain across industries. The intuitive, turnkey solutions use best-of-breed commercial hardware and a Software-as-a-Service (SaaS) delivery model to keep the cost of entry low and return on investment high.